Cancer is the leading cause of death worldwide and each year the number of people diagnosed is growing. Understanding exactly what cancer is and how it is diagnosed can be confusing so LiveMD is here to shed some light on the subject and answer some of your most frequent questions. Cancer is a very broad term given to a large group of diseases that could affect any different part of the body. Cancer starts with one cell that begins to change and becomes abnormal. This abnormal cell then begins to multiply very quickly and can start to invade different parts of the body. This process of rapid growth and invasion is called metastasizing. Many cancers can form solid tumours which are masses of abnormal tissue but some cancers, like those of the blood for example, do not form tumours at all. All of the exact causes of cancer have not yet been identified however there are certain things that can put you at a much greater risk of developing this disease. Smoking, alcohol use, an unhealthy diet, exposure to asbestos, exposure to arsenic, radiation exposure and certain viruses and bacteria can put you at a higher risk of getting cancer in your lifetime. Surgery – Surgery is usually one of the first treatment options for a cancer patient. Surgery may be done to perform a biopsy on the cancer site or may be done to remove a tumour. If the cancer has not spread to any other areas, surgery may offer the best and fastest option for a cure. Radiation – This type of therapy uses radiation directed at the cancer cells to stop their growth or help to shrink the size of a tumour. This type of therapy can be very beneficial if the cancer is localized and has not spread to any surrounding areas. Chemotherapy – Also known as chemo, this type of therapy uses either 1 or a combination of drugs to fight the cancer cells. It is usually given intravenously over a course of many different sessions, depending on the type and severity of the cancer being treated. Chemotherapy aggressively targets cancer cells but it can also harm other, non-cancerous cells as well. Chemotherapy can cause hair loss, weakness, nausea, vomiting, diarrhea and many other side effects as well. Other Therapies: As science progresses there are many other cancer therapies being offered now. Stem cell therapies, bone marrow transplants, blood transfusions, immunotherapies, photodynamic therapies are all available treatment options depending on the patient and the type of cancer being treated. Leading a healthy lifestyle and avoiding high risk factors like smoking and alcohol are some of the best ways to decrease your chances of getting cancer but as it stands right now, there is no guaranteed method to protect yourself. The most important thing that you can do is to get diagnosed early on if you do have cancer. 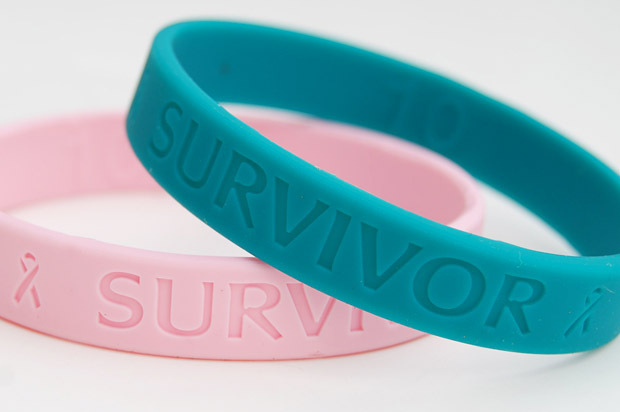 Early detection will allow for better success and survival rates with treatment. Going for your annual physical exam with your doctor, preforming at home self-breast exams, or undergoing screening for certain types of cancers will allow for early detection and treatment. If you have questions about cancer or would like information about treatment options, book an appointment with one of LiveMD’s physicians or oncologists today at www.mylivemd.com .